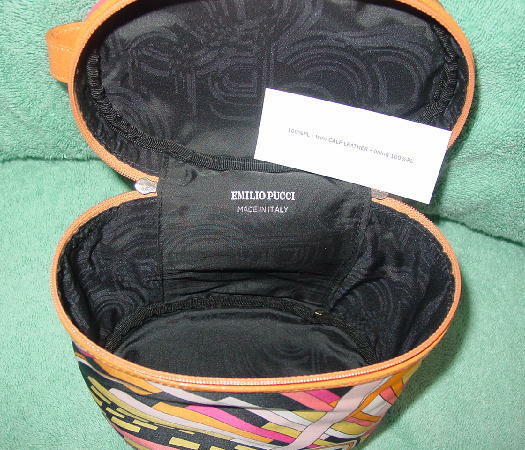 This never-used round case has an innovative signature design, was made in Italy, and is an Emilio Pucci. 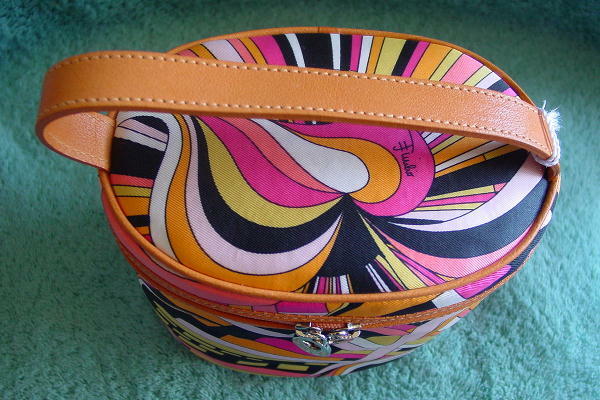 It has an orange calf leather trim, bottom and top handle. 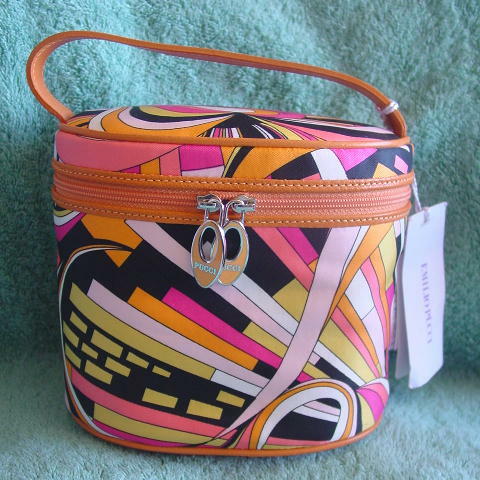 The 100% satin exterior has a design pattern in orange, hot pink, baby pink, white, black, honey-yellow, and peachy-pink. 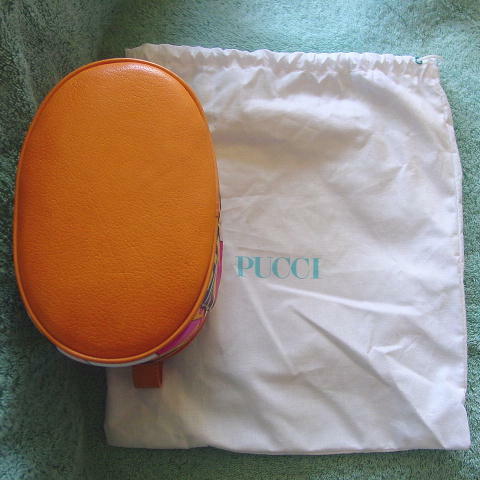 There is a zippered closure around the top lid with double orange and silver-tone metal oval pulls with Pucci on each one. 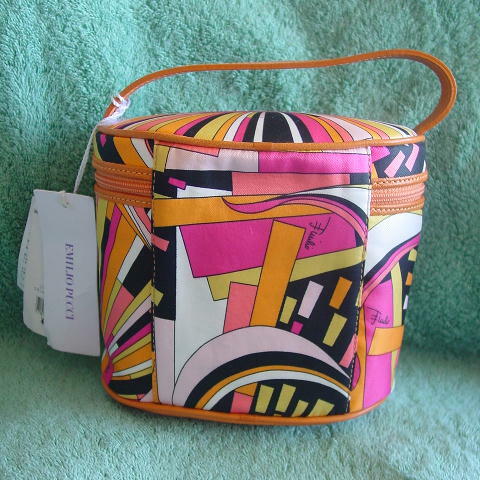 It has a black 100% polyester lining which has a tone-on-tone curved line pattern. It's manufacturer's tag is still attached, as well as its Japanese store price tag - yen 67,200 (approximately $550 US). It has its own 12" high by 10 1/4" wide white bag (100% cotton, made in Italy) with turquoise-blue letters (PUCCI), eyelets, and white drawstring. 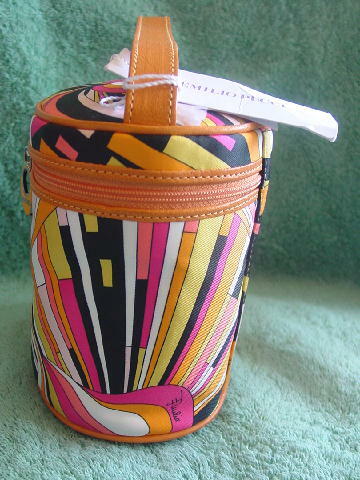 You can carry it as a purse (it can be worn from daytime into evening) or use it as a cosmetic case.